It was already a wild week in Metro Vancouver … and it will be worse soon. On Monday, the snowfall warning in the region meant a long period of snowfall with a predicted total of 10-15 cm. Warnings indicate that a long period of snowfall is now expected with a total value of 15 to 25 cm. The second warning maintains a warning of 10 to 15 cm for Surrey and Langley, as well as for Richmond and Delta. 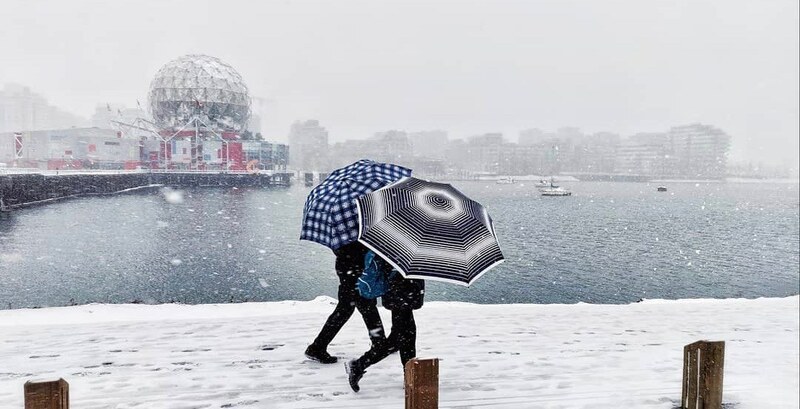 "The second disruption on the southwest coast of the island of Vancouver stretches out across the entire southern coast this morning," she told Environment Canada in a snowfall warning. "In most areas one can expect further accumulations of 5 to 10 cm. Snow will fall gradually this afternoon until early evening when the lower center is weakening." Snow forced most of the regional and university colleges to close, as well as public schools in the region. Subscribe to our Newsletter to receive exclusive content, contests and bonuses.